Hello all and happy Wednesday! Today is start of a new challenge at All That Scraps... everyone's favorite... ANYTHING GOES!! with Yuki from Sister Stamp. The box die and the little tag are both from PTI, and the border punch from MS. 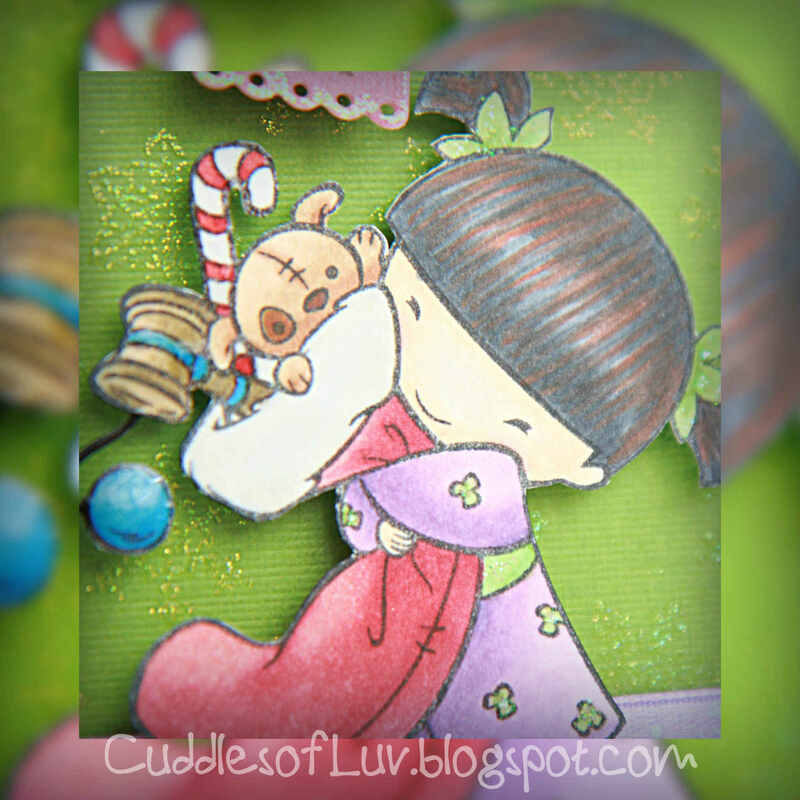 Finally get a chance to play along the Yumi & Fumi Handmade current challenge, to have no patterned paper! That had me stumped for awhile, but then I thought of... embossing! So I gave it another try, and this time it turned out better... a little? hehee! I used a sparkle embossing powder on the green cardstock. The picture doesn't show it too well, but it's there! lol! 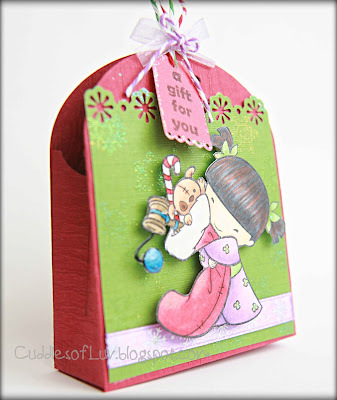 So now stop by All That Scraps Challenge blog to see what the team has to share! You have two weeks to play along for your chance to win 5 CC Design digis!! This is really cute Mimi~ love it when the image is done so clean and not over powering with so many blooms... Great festive ideas for any occasions..
TFS - enjoy your hump day! Simply adorable. Love the box and image. oh my, this is adorable!! love the shape and yuki is so cute I just want to squeeze her! Love the design and I can see a bit of the gold powder on the green. This is fabulous! Sorry I've been a bad blogging friend! Hoping time slows down so I can visit around more, but I'll be checking to see what you've been up to. Thanks for playing with us at Y&FH! Love your Super Fab creation. 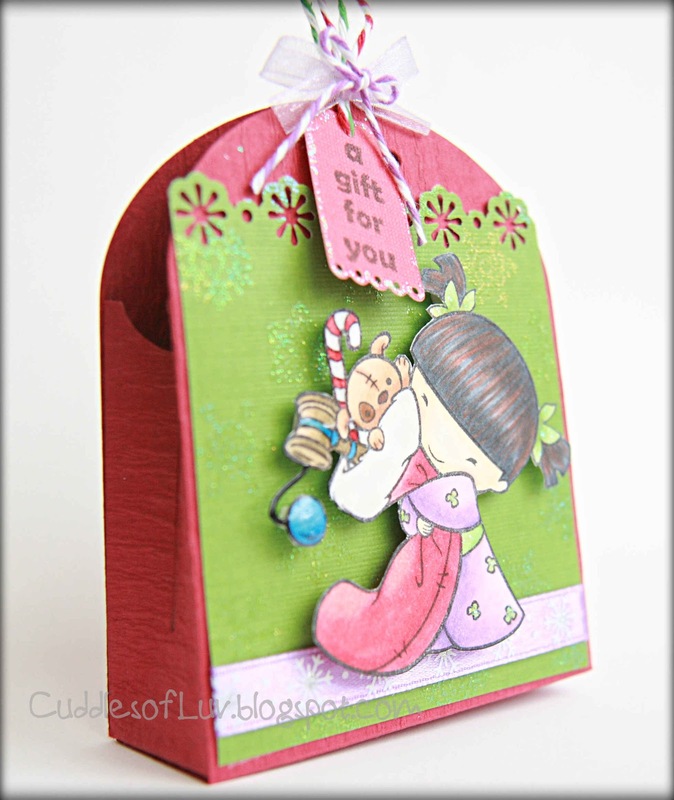 Very cute holder! Love the image and coloring! Hope you're having a great weekend!